Adorable, mischievous and endlessly entertaining the arrival of a new puppy is always an exciting time in any household! There’s so much to think about when your little bundle of joy arrives home with you! 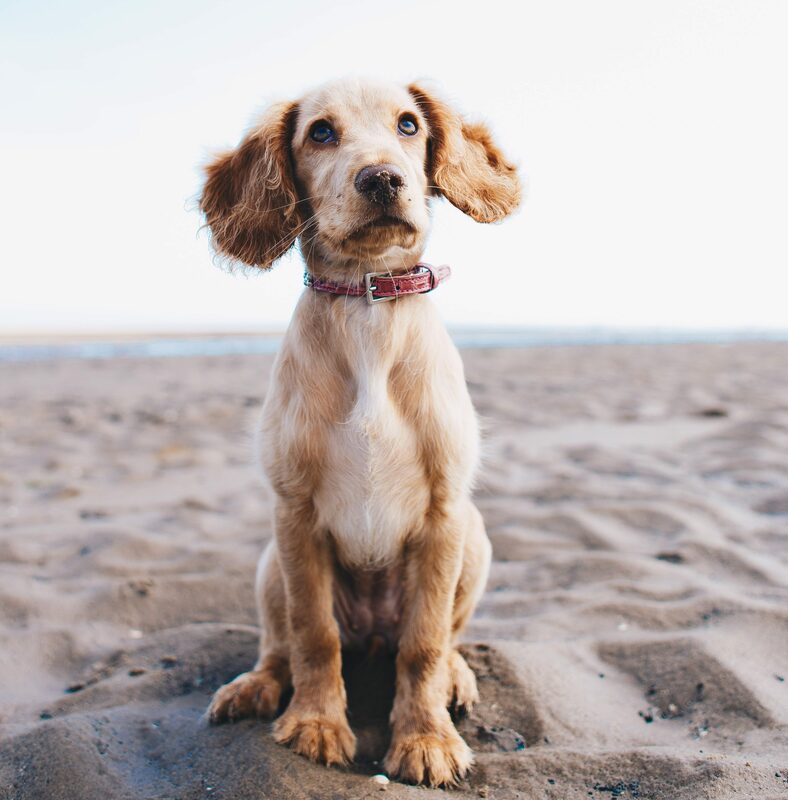 Even after weeks of planning, adapting your home into a puppy-friendly environment, and reading up on the do’s and don’ts of dog ownership, the responsibility of owning a canine friend – whether is is for the first or tenth time – can be quite daunting. The big wide world can be an exciting, but daunting place for a new pup. Aside from your pup’s basic health and nutritional needs, one of the most important things you can do to set a young dog up in life is to ensure appropriate socialisation and correct training. Puppies, like humans, aren’t born with the skills required to live harmoniously with their new family. As their owner, it is your responsibility to ensure they are exposed to the right situations and understand the behavioural boundaries they must adhere to, to ensure a peaceful and happy existence for all involved! Correct socialisation in the early stages of your dog’s life will help them feel confident in their environment, able to communicate appropriately with other dogs they meet, and understand their role and what is expected of them – be that as a companion, family pet or a working dog. We ask a lot of our dogs – they have to become fluent not only in their own, canine language but in our human world too! All reputable breeders should have started the socialisation process off for you, but it is imperative to keep going when your dog arrives at home with you. They need to have a wide range of positive interactions with as many social situations as possible – meeting different adults, children, vets, adult dogs and other animals. Careful, positive exposure to different environments such as traffic, crowds, travelling in the car, vacuuming at home and a host of other sights and sounds are all invaluable experiences and will set your pup up for life. A key part of the socialisation process is training. Puppies need to be taught right from wrong, and understand what is expected of their behaviour both in the house and whilst they are out in the big wide world with you. We are extremely fortunate at Charter Vets to benefit from the experience and passion of Zaina Nasser. She is a member of our Veterinary Client Support Team and also runs the Charter Vets Dog Training Academy, for puppies and older dogs. Zaina’s experience of a breadth of training methods and extensive research has led her to develop a training programme focussed on the promotion of fun. 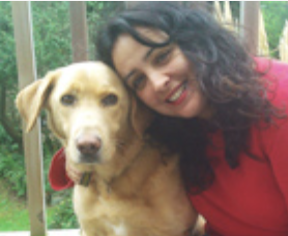 She offers a reward-based clicker-training approach to enable dogs to live in harmony with their owners whilst maintaining maximum animal welfare standards. She believes clicker training is by far the most effective and pleasurable training method for both the owner and their canine companion. The academy provides six-week, dog and puppy training in small groups, at Charter Veterinary Hospital, Roundswell. Classes are on Wednesday evenings. For more information please visit our dog training page or give Zaina a call on 01271886770 – she’d be delighted to hear from you. Zaina’s focus on reward-based training strategies mean her classes are both fun and enjoyable for both owner and pup alike! 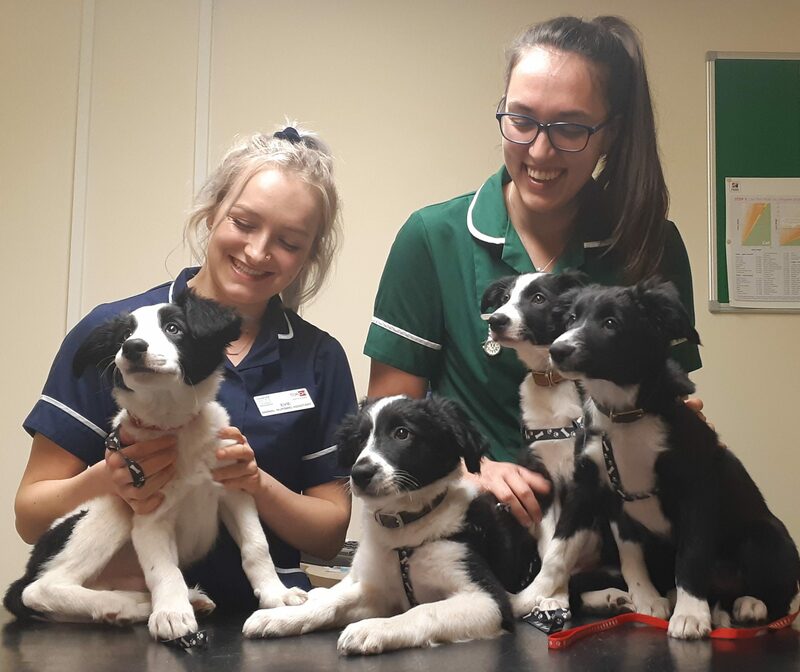 Our vet nurses Katie and Evie have their hands full at this new puppy check! 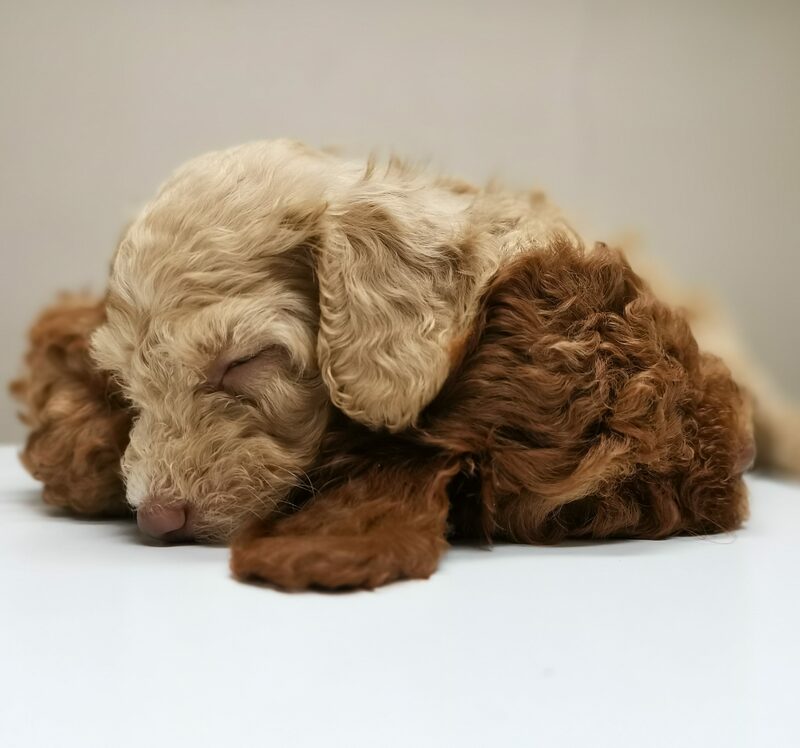 If you are unsure about any aspects of your new puppy’s health and welfare – from the most appropriate food to use, to the right wormer, flea treatment or advice on neutering, our Registered Veterinary Nurses are here to help. Be sure to give your local surgery a call to book your puppy in and good luck – enjoy the ride!